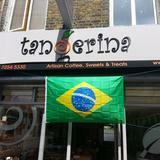 Tangerina is a speciality coffee shop in Newington Green that also serves a delightful range of Brazilian and European foods. 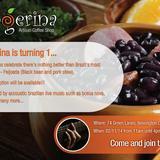 "Tangerina's an artisan coffee shop in London N16 which has a warm, homely and welcoming atmosphere, offering speciality espresso coffees and award-winning teas alongside delicious home-made food. Our unique menu is a fusion of delicious Brazilian and European tastes which reflects the background of the two owners. Our coffee comes from the Allpress roastery. Their espresso is a blend of the finest fairly-traded coffee beans available. Our teas are from Suki tea who have won awards for the wonderful taste of their loose-leaf teas. We also offer a selection of 100% pure and natural fruit juices made from pulp. For brunch/lunch our deep-filled sandwiches and baps come with a range of delicious fillings from Europe and Brazil. 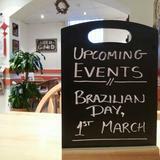 We also have Brazilian savouries alongside various salads, quiches and soups of the day. 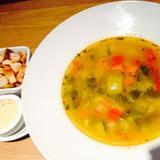 We always ensure we have a selection of vegetarian options available. 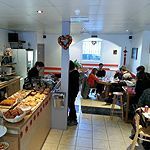 Tangerina's kitchen also creates a range of house-speciality homemade cakes, pastries, sweets and treats, including a number of gluten-free options." What did you think of Tangerina?